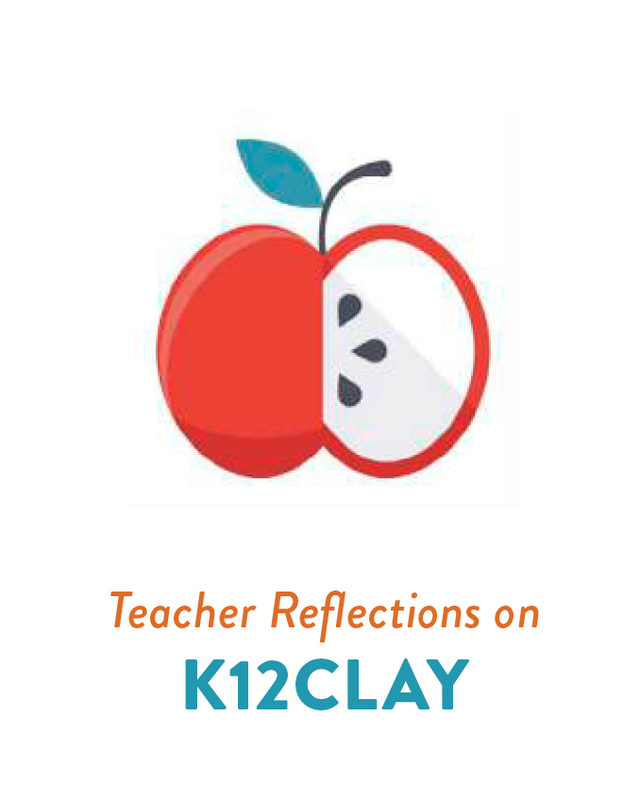 Every year in December, my ceramic students get excited to apply to the National K-12 Ceramic Exhibition, which often goes by the shorthand name of “k12clay.” They encourage one another and students who don’t think their work is strong enough to enter. About a month after the deadline, they start asking if I have heard any positive news. We have been very fortunate to have at least one entry accepted each year. In 2015, we were all astounded when six works were accepted and three received awards, including the Artistic Achievement Award. Students were stunned that their work had been recognized and honored. This really boosted their confidence and self-esteem. They felt affirmed, heartened, and very grateful. In the months that followed, I could see that these students started to have more faith and belief in their own talent and strengths. They were becoming more reflective and independent, relying less on my instruction and guidance. Their pieces became stronger because they were taking more risks and making thoughtful decisions on their own. The true joy of teaching comes in knowing you can step back and watch your students experience a flow of creativity as they become more autonomous and empowered by their learning. After these students graduated, they chose non-art majors and found they weren’t able to take classes in the art programs at their colleges. But, when they visited me, many shared their excitement in having found a way to continue working in clay. Some students set up a co-op, others purchased a used wheel to use at home, and still others took a class off campus. They all found ways to return to a joyful time in their lives and keep their love of ceramics alive. I cried like a baby when I learned that my student had been awarded an $80,000 scholarship to KCAI. I remember standing there, blinking in disbelief as tears welled up in my eyes. I was embarrassed by my show of raw emotion, and I kept apologizing for it. I teach ceramics, painting, and drawing in a school near the Wind River Indian Reservation in Wyoming. The reservation is cradled on four sides by an ocean of prairie and the Wind River Mountain Range and Owl Creek Mountains. Poverty levels are high in the region, so my students are familiar with the daunting task of trying to succeed despite obstacles that most people can barely fathom. Anne Maurice is the Department Chair of Visual Arts and the ceramics teacher at Marin Academy, San Rafael, California. Contact her at annemaurice.ceramics@gmail.com. Joy Jones is a ceramics art teacher at Wind River High School, Pavillion, Wyoming. She can be reached at joyjonesceramics@gmail.com, and you can follow her on social media @joyjonesceramics. Kelly Clark is a visual arts teacher at Middlesex High School, Middlesex, New Jersey. Contact her at clarkk@middlesex.k12.nj.us and follow her on social media @middlesexhighschoolceram.